Kunzig Shamar Rinpoche gives the Kagyu Ngag Dzoe transmissions. Visit in Bhutan for the Her Majesty Ashi Phuntso Choden Wangchuck funeral. Teaching by Khenpo Chödrag Tenphel Rinpoche in California. 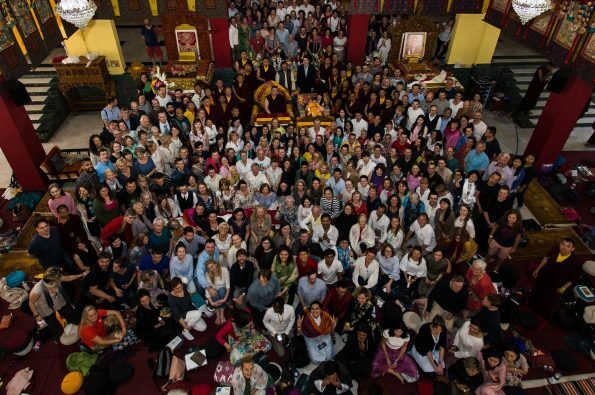 Visit in San Francisco and Karma Pakshi Empowerment. Sangye Menla (Medicine Buddha) Empowerment. Visit in Karma Mingyur Ling, Montchardon. Bodhisattva Vow, Mahakalapuja, Audiences in Montchardon. 13 Jan. Audiences, Initiation in Manjushri, Montchardon. Arrival in Montchardon, Initiation in White Tara, Mahakala-Ritual.